There's nothing like a little, light shopping to make you want to do some heavy working out. I went shopping with my mom today. A few pairs of pants later, my sense of motivation suddenly came rushing back. You've been there - the dreaded between sizes! The size you want is a little too tight, but you are NOT going to buy the bigger size. I'm on my way to fitting into those motivational pants! I'm down 6 pounds and still going! I've had a few rough days, but I'm keeping on. My mom used to quote the saying "nothing tastes as good as being skinny feels." It's true. Diet. It's a word associated with fad eating, weight loss, and deprivation. At boot camp the other night we discussed 'diet' versus 'on a diet.' (On Tuesdays & Saturdays I go to 'boot camp' with some other ladies.) I've really had to change my mindset about what diet means. Everyone is 'on a diet' because diet is what you eat. It's the food you choose to fuel your body with, whether it be healthy or unhealthy. I have stop feeling so restricted by the limitations of what I eat and start remembering that I am choosing to make my 'diet' a wholesome one that will keep my healthy and happy! 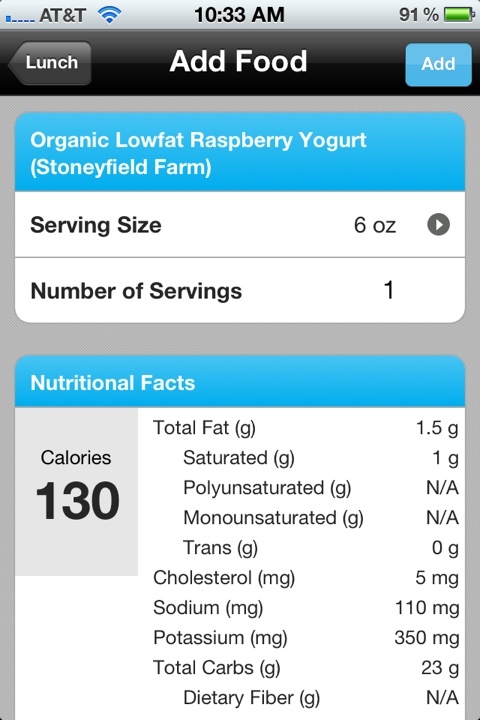 A great app / website I've been using is called My Fitness Pal. It's a great way to keep track of what you're eating. You give it information about yourself, tell it your goals, and it tells you how many calories to eat each day. It makes it so easy to keep a food journal because I do it all from my phone. 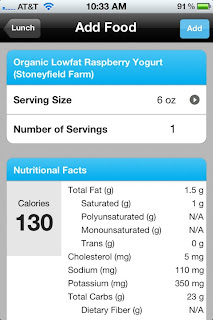 Adding food is as simple as scanning the bar code or typing in the search bar - their database of foods is huge! If I forget my phone or it dies, I can simply access my account online. You can find friends to give you encouragement. Keep track of carbs, fat, sugar, etc. for the day or week. Keep track of your goals, exercise, and food diary - all in one. My favorite part is that when you complete a day's diary, it gives you an estimate of what you would weight in 5 weeks if you keep eating the same. It helps keep me motivated and holds me accountable.